Hills Stainless Steel & Equipment Inc has been rebuilding and repairing edible liquid tanks for over 30 years. Our company has diversified into an original equipment manufacturer of water tanks, fertilizer tanks, converter dollies and pup trailers. Hills Stainless Steel & Equipment also deals in used trucks and equipment. We manufacturer and sell parts under the "Certified" brand internationally and in all 50 states . 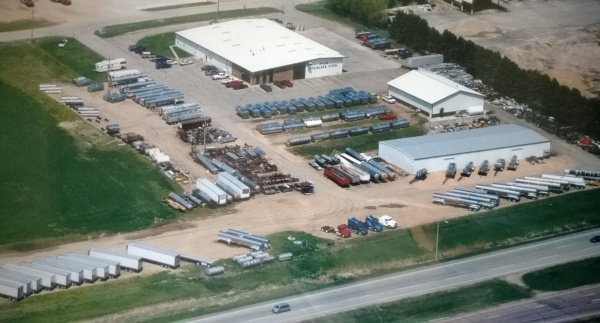 Our company has two plant locations in Luverne, MN and Hills, MN. These new state of the art facilities comply with EPA and OSHA regulations. Other services we provide includes: parts, fabrication, washing and blasting. We're a full Service "3A 95-00" parts, sales & repair facility and authorized "Walker Transport" dealer. We work on all makes of liquid food transportation tanks. We also have loaner tanks available. Leasing and rental available in house with "Minnkota Tank Leasing, Inc. We're conveniently located off I-90 West Minnesota Exit #12 NW and our hours of operation are 7:00 AM - 5:00 PM CST Mon.-Fri.